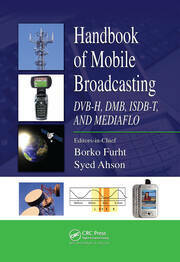 Describing efficient transmission schemes for broadband wireless systems, Transmission Techniques for Emergent Multicast and Broadcast Systems examines advances in transmission techniques and receiver designs capable of supporting the emergent wireless needs for multimedia broadcast and multicast service (MBMS) requirements. 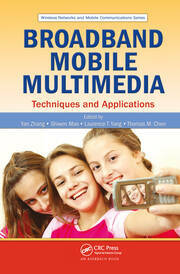 It summarizes the research and development taking place in wireless communications for multimedia MBMS and addresses the means to improved spectral efficiency to allow for increased user bit rate, as well as increased capacity of the digital cellular radio network. 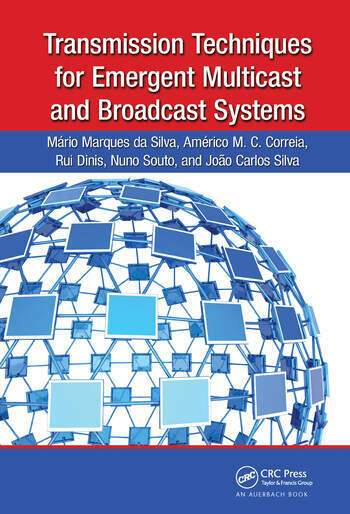 This complete resource includes coverage of Multiple Input–Multiple Output (MIMO), hierarchical constellations, multi-resolution transmission, macro-diversity principles, and different frequency reuse schemes. It also proposes advances for different propagation and multi-user environments, using both WCDMA and Orthogonal Frequency Division Multiple Access (OFDMA). The text concludes by explaining how to effectively combine these techniques and enhancements for the purpose of implementing the evolved MBMS (E-MBMS). Mario Marques da Silva is a Senior Researcher at the Portuguese Institute for Telecomunications. He is also with NATO Air Command Control & Management Agency (NACMA) in Brussels, Belgium, where he manages the deployable communications of the new Air Command and Control System Program. He received his BSc in Electrical Engineering in 1992, and the MSc and PhD degrees in Electrical Engineering / Mobile Communications from the Instituto Superior Técnico (IST), Technical University of Lisbon, Portugal. He has been involved in several telecommunications projects, either as researcher or as project leader, including research, architecture, development, analysis, simulation and testing of networking, HF, V/UHF, satellite and cellular/UMTS communications systems. He is the author of several tens of international research papers and his research interests include several areas of Mobile Communications, namely WCDMA (Wide band Code Division Multiple Access, OFDM (Orthogonal Frequency Division Multiplexing) and SC-FDE (Single Carrier Frequency Domain Equalization), Multi-User Detection, Interference Cancellation, Space-Time Coding, MIMO systems (Multiple Input, Multiple Output), Smart and Adaptive Antennas, Software Defined Radio and Mobile Ad-hoc network. 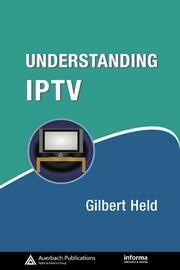 He is a member of IEEE communications society and reviewer of several international publications. Américo M. C. Correia received his BSc degree in electrical engineering from the University of Angola in 1983, and his MSc and PhD degrees from Instituto Superior Técnico (IST-UTL), Lisbon, Portugal, in 1990 and 1994, respectively. From 1991 to 1999 he was with IST as an assistant professor. He is currently a full professor with Instituto Superior de Ciências do Trabalho e da Empresa (ISCTE-IUL), Lisbon, Portugal. He visited Nokia Research Center from September to December 1998 as a visiting scientist. From September 2000 to August 2001he worked for Ericsson EurolabNetherlands. His current research topics include wideband CDMA, OFDMA, MIMO, radio resource management, and multimedia broadcast/multicast services. Rui Dinis received his PhDdegree from Instituto Superior Técnico (IST), Technical University of Lisbon, Portugal, in 2001. From 2001 to 2008 he was a professor at IST. Since 2008 he is teaching at FCT-UNL (Faculdade de Ciências e Tecnologia da Universidade Nova de Lisboa). He was a researcher at Centro de Análise e Processamento de Sinais (CAPS)/IST from 1992 to 2005; from 2005 to 2008 he was researcher at ISR/IST (Instituto de Sistemas de Robótica); in 2009 he joined the research IT center (Instituto de Telecomunicações). Nuno Souto graduated in aerospace engineering— avionics branch in 2000 from Instituto Superior Técnico, Lisbon, Portugal. From November 2000 to January 2002 he worked as a researcher in the field of automatic speech recognition for Instituto de Engenharia e Sistemas de Computadores, Lisbon, Portugal. He received his PhD in electrical engineering from Instituto Superior Técnico in 2006. He currently works as an assistant professor in Instituto Superior de Ciências do Trabalho e da Empresa (ISCTE), Lisbon, Portugal. He participated in several European research projects and has published several articles in international journals.His research interests include widebandCDMAsystems, OFDM, channel coding, modulation, channel estimation, and MIMO systems. João Carlos Silva received his BS degree in aerospace engineering from the Instituto Superior Técnico (IST)—LisbonTechnicalUniversity, in 2000. From 2000 to 2002 he worked as a business consultant forMcKinsey&Company. He finished his PhD thesis also at IST in 2006, focusing on spread spectrum techniques, multiUser detection schemes, and MIMO systems. From 2006 to 2007 he was a professor at Escola Superior Tecnologia e Gestão (ESTG), in Leiria (teaching physics and electronics), and has been a professor since 2007 in Instituto Superior de Ciencias do Trabalho e da Empresa (ISCTE), in Lisboa (teaching computer networks). He is the author of more than 40 papers and a reviewer of several international publications. His research interests include computer networks and mobile communications, including block transmission techniques (OFDM, SC-FDE), WCDMA, multiuser detection, interference cancelation, space–time coding, MIMO systems, smart and adaptive antennas, channel estimation, and software-defined radio.